I create so much random lettering for social media, for fun, for whatever, so I decided to join Cotton Bureau to see if I could turn some of it into cool t-shirts and, hopefully, some cash. Expect to see a lot of t-shirt ideas that I pretty much just want to own myself ha! Lucky little me had my first design approved with no hassle which was a nice pick-me-up. I assumed as it was my first rodeo they'd have some tweaks or advice for "next time" (a nice thing about CB is that they're very hands on). I suppose I was just referencing back to my ill-fated attempts at designing for Threadless waaaaaay back in the day when I was still trying to be an illustrator. 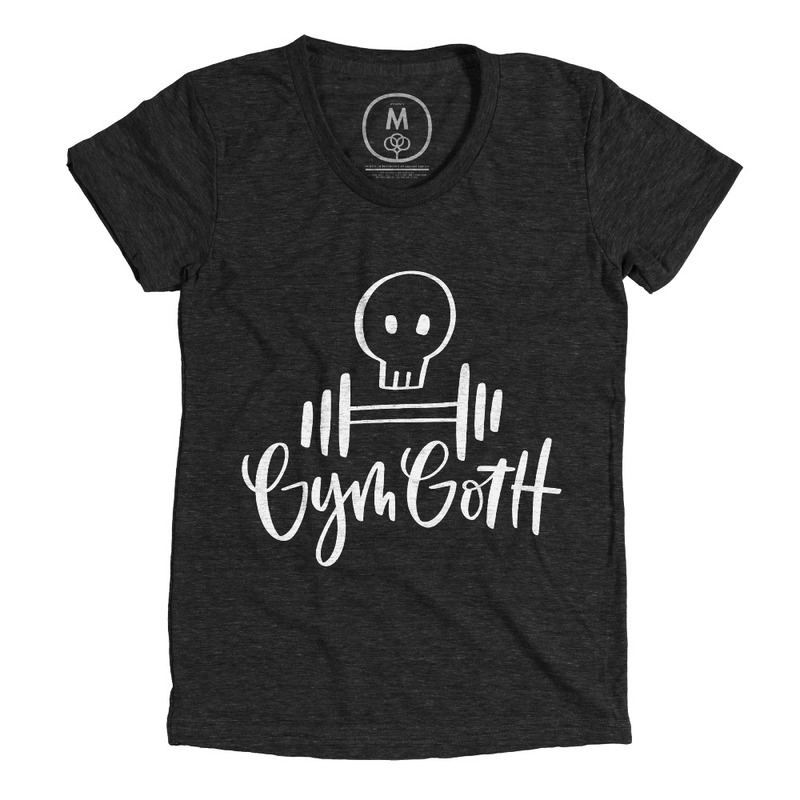 But "Gym Goth" was accepted and is now available to purchase! If 12 are bought within the next 2 weeks the shirt will go into production. Here's hoping! I really want the vest so I can proudly wear it at the gym. I'd be much obliged if you went and had a look!